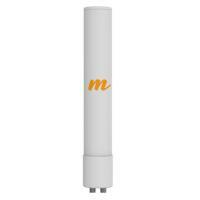 Introducing the industry’s first 4-port, beamforming, 360º antenna specifically designed exclusively for Mimosa’s A5c access point. 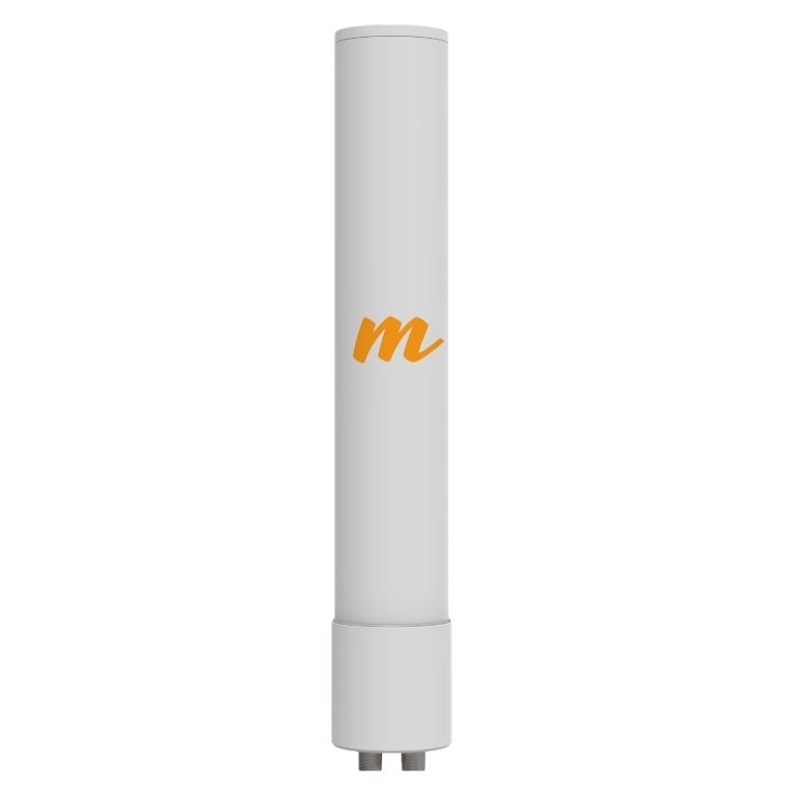 The N5-360 antenna’s unique design incorporates quad-180º overlapping antenna polarizations, doubling the coverage of Mimosa MicroPoP deployments with 3 dB of beamforming gain. 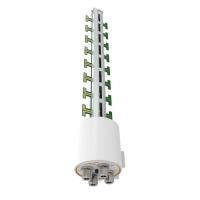 The N5-360 boosts throughput by providing balanced dual-stream coverage over 360º of azimuth. 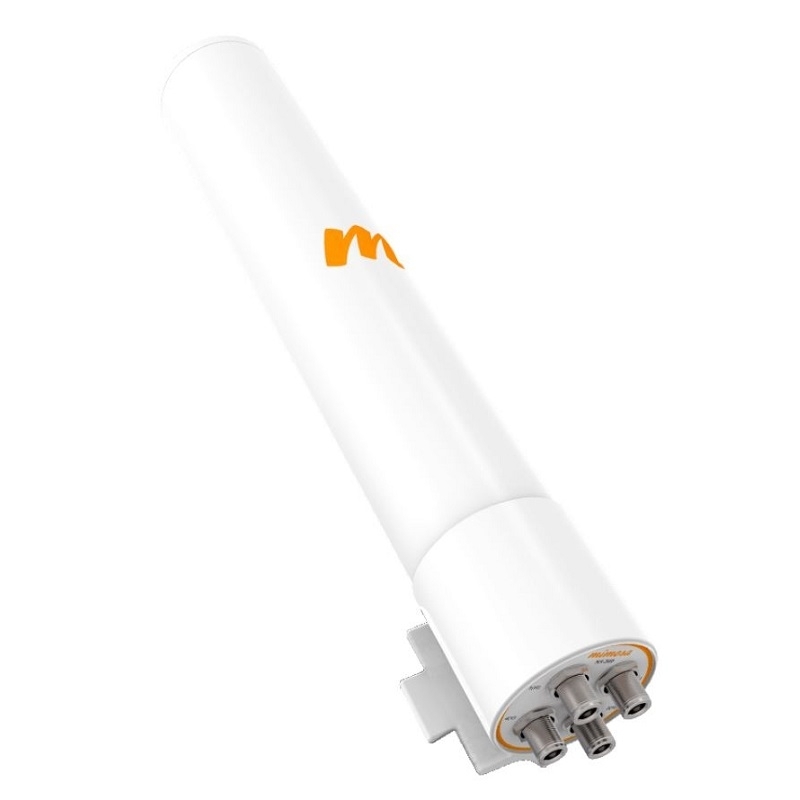 Without sacrificing performance, the N5-360 operates over a wide frequency range, from 4.9 to 6.4 GHz, supporting licensed public safety bands and other expanded frequencies, where permitted by region. 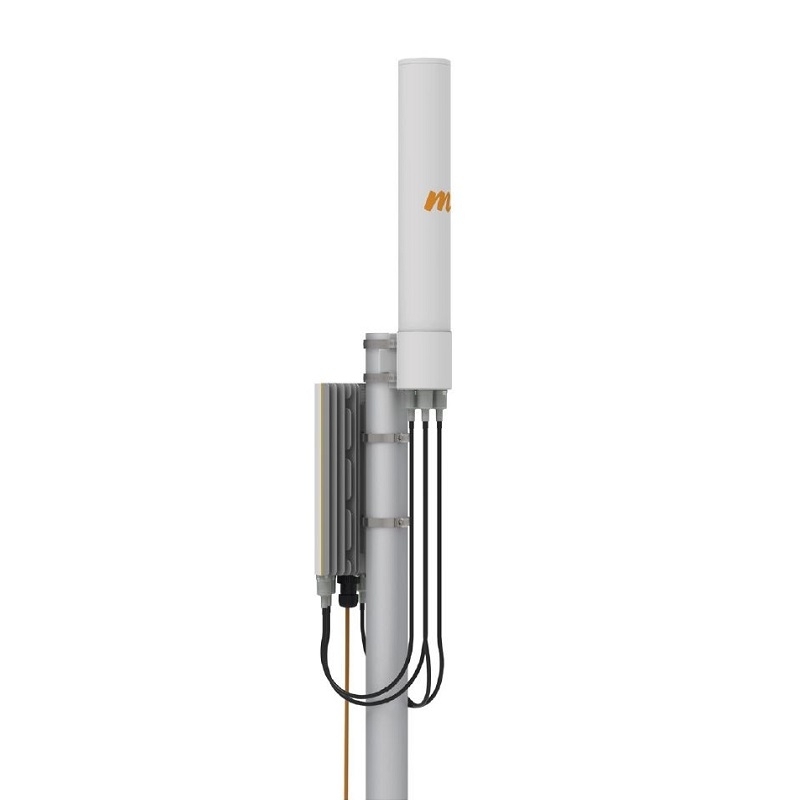 Double the coverage area with 60% longer reach for MicroPoP deployments, easily handling deployments to homes within 500 m in dense, last mile, suburban areas. 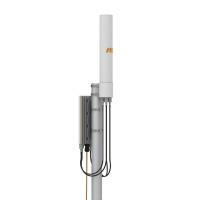 The only antenna available for use between 4.9 to 6.4 GHz, delivering incredible spectrum flexibility. Enhanced C5 and C5c subscriber speeds through new, balanced, multi-stream technology. 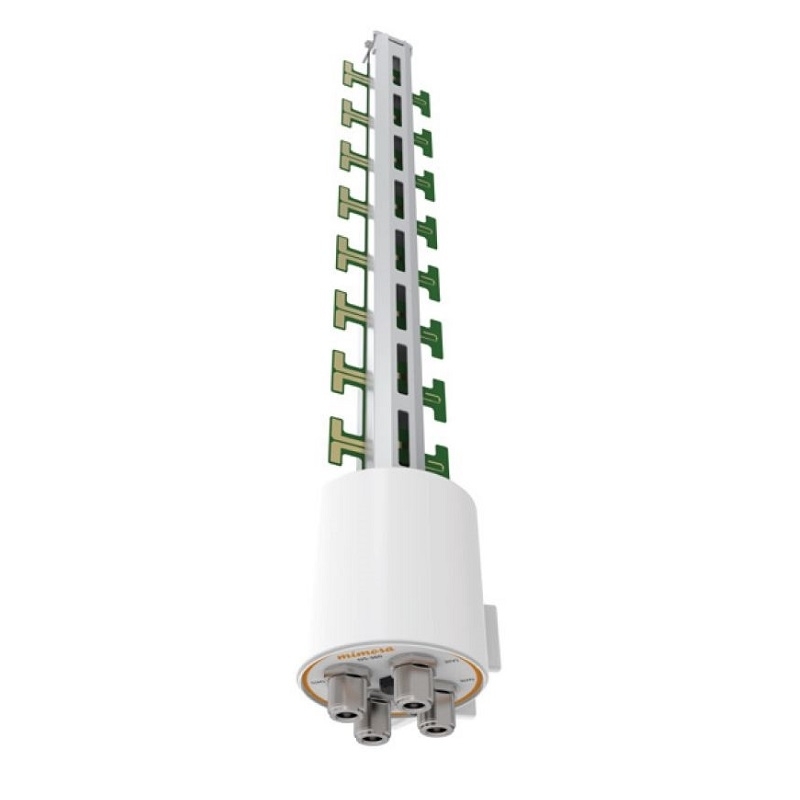 3 dB performance enhancement in a compact design, with all new quad-180º overlapping antenna polarizations that enable range-extending, beamforming technology.